The plan to own a rental property might have been the right one at the time. But now you need to downsize and reclaim that living space you had moved out of and converted to a rental. A variety of life changes can result in the need to convert your rental property back into your primary residence. You have the right to make the home your dwelling at any given time as long as you do not have tenants in the home with a lease agreement. Occupying your rental home will result in some tax changes. It can also affect your taxes if you plan to sell the home in the future. Income you receive from the rental property for the year is considered taxable income and must be reported to the IRS on Schedule E. With a rental property, you can deduct certain expenses associated with renting the home. Repairs are tax deductible, however home improvements are not deductible. You can also deduct the home's depreciation only for the number of months the property is in use by the tenant. When you begin occupying the home, you can deduct ownership expenses on the Schedule A form. 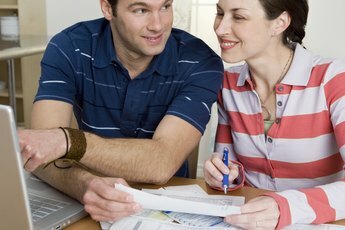 Deductions you can claim include mortgage interest, mortgage insurance premiums and even property taxes. The expenses must be prorated for the time the home was not considered a rental property. If tenants are in your home for part of the year, you will need to complete both Schedule E and Schedule A sections. Homestead exemptions remove a portion of your home's value from taxation, resulting in a lower property tax bill. 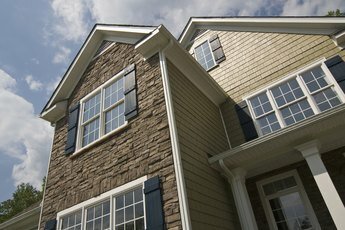 Depending on when you decide to convert the home back into your dwelling, you may qualify for the deduction. Requirements may vary among states, but generally you must occupy the home as your primary residence at 12:01 a.m. on January 1 of each year you file. The capital gains tax is a tax on the profit of a sale that exceeds the price you originally paid. If you were to sell the home in the future, you can avoid capital gains taxes by making the home your primary residence. Homeowners who live in their homes for at least 24 months in the consecutive five years before selling, can qualify for the personal residence exclusion. Do You Need to Claim Income Earned From Renting Out a Room in Your Home in the United States? Do You Have to Reapply for a Homestead Exemption Every Year?